WITH the rising popularity of e-commerce and the complexity of the supply chain network, employees in the logistics industry will need to possess skills that go beyond those typically required for logistics operations today. Employees who are IT savvy and have the necessary skill sets - including critical soft skills - will be among those who are highly sought after, say industry players. 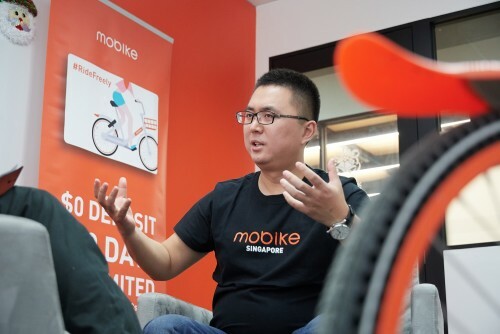 Kenneth Koo, associate director (supply chain & logistics) for recruitment company Spring Professional, said: "Professionals who can harness technology and online infrastructure and create solutions to simplify the complexity of the entire supply chain would certainly be in demand, as the retail industry evolves further." Value-added services are also important in advanced logistics today, which requires more than just moving goods from one place to another. Companies are expected to deliver additional services, ranging from data analysis to repacking and bundling in order to boost efficiency along the supply chain, firms say, while the ability to leverage on software and to process data helps to boost productivity. In addition, soft skills development - covering areas such as customer service, people management and leadership - are "equally important" to ensure service quality meets fast-evolving customer expectations, noted Lim Ann Nee, SingPost senior vice-president (Singapore parcel). 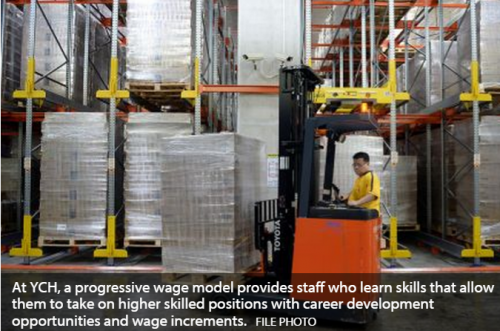 SingPost also trains its parcel ambassadors in IT and related skills. Other pertinent areas include knowledge of regulatory and legislative frameworks for Singapore and overseas, especially where high-value goods such as pharmaceuticals or dangerous goods are concerned. But for e-commerce, there is a shortage of related experience in the existing talent pool. Organisations also find it hard to recruit for analyst and business development positions as well as for skilled professionals to handle areas such as change management processes and mergers & acquisitions, according to recruitment firm Robert Walters Singapore. "The lack of suitably strong analysts specific to this sector is driven by the demand for similar skills in other industries such as banking and fast moving consumer goods," pointed out Tim Klimcke, associate director at Robert Walters. The tight labour market also adds to the challenge. One way to prepare the next-generation joining the workforce for the rigours of the logistics industry is to include training in areas such as multi-channel retailing and e-commerce in the existing education curriculum, suggests Mr Koo, noting that evolving retail consumption trends present unique challenges which require new skills. Training can be provided for existing logistics professionals, he added. Global Airfreight International is looking into IE Singapore's Our Young Talent Programme (YTP), where IE and participating educational institutions co-fund the costs of sending local students abroad for job stints. This helps create a pipeline of "global-ready" young talent, which firms can develop further for their own overseas business ventures. Homegrown logistics company YCH, on the other hand, is among the pioneer batch taking part in the SkillsFuture Earn and Learn programme, a work-study programme designed to give fresh graduates from polytechnics and the Institute of Technical Education (ITE) the opportunity to enhance their skills and knowledge. The programme, which applies to various industries, ultimately aims at making entry into the workforce easier for these students by providing hands-on and relevant work experience. While these students may not necessarily join the company they are attached to, their experience ultimately benefits the industry. SkillsFuture was first unveiled in this year's Budget and aims to help Singaporeans at all points in their career develop the necessary skills to ensure they are well-prepared for the future. "There is a need to strengthen cooperation in sector-specific training measures to provide flexible and up-to date training offers under Workforce and Development Agency (WDA) and Singapore National Employers Federation (SNEF)," suggests Poh Choon Lay, chief operating officer of Global Airfreight. "Also, it might be possible to build joint training facilities to reduce costs, especially (for) small companies." At YCH, a progressive wage model has been implemented so those who learn skills that allow them to take on higher skilled positions will be awarded with career development opportunities and wage increments. 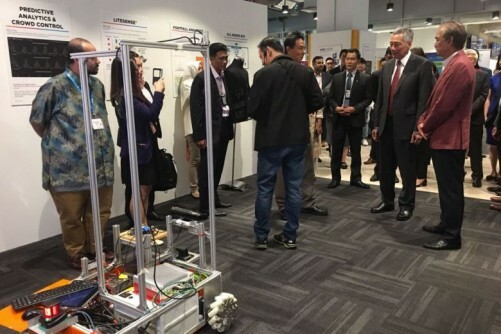 "For the logistics industry, one method of increasing productivity is automating routine tasks and allowing workers to undertake higher skilled jobs, or to be able to perform a variety of tasks," said Min Lee, director of human resources at YCH. "Additional training will be required to ensure workers are not supplanted by automation, but rather enable them to be able to work alongside these machines or undertake higher skilled tasks to increase productivity and maximise efficiency." "With the up and coming nations around us," said Mr Poh, "we need to employ workers who are readily available with the relevant skills to work." He added that workers that have the required skill sets would ensure that Singapore compares favourably to global competition.